Curled Up With Classics are posts I write to share some of my all-time favourite novels. You can find the rest of them here. To the person in the bell jar, blank and stopped as a dead baby, the world itself is a bad dream. This novel didn't make me cry; it made me tremble. It left me suffocated and numb, my throat dry and my fingers fumbling to turn each page. The glimpse we get into Esther's world, the world of a teenager falling into the grips of insanity, is shocking. Yet, it's not just Esther's world we witness; we see another life too, lingering on every page. Sylvia Plath gave us a darkly-humoured gem within The Bell Jar and all I have in return is pure adoration for every aspect of this modern classic. Esther Greenwood is at college and is fighting two battles, one against her own desire for perfection in all things - grades, looks, career - and the other against remorseless mental illness. As her depression deepens she finds herself encased in it, bell-jarred away from the rest of the world. This is the story of her journey back into reality. Highly readable, witty and disturbing, The Bell Jar is Sylvia Plath's only novel and was originally published under a pseudonym in 1963. What it has to say about what women expect of themselves, and what society expects of women, is as sharply relevant today as it has always been. Esther's voice is so endearing. She's witty, intelligent, morbid, perceptive and all you want from a protagonist. Mental illness is never an easy topic to deal with, yet The Bell Jar doesn't shy away from the reality. (That said, it's somewhat difficult to read if you know about the life of Sylvia Plath). The novel deals with gender roles and the life choices for women at the time. There has never been a female teenager in fiction that I've been so fascinated by; even today, Esther is still relevant. "I felt wise and cynical as hell." "If you expect nothing from anybody, you're never disappointed." The novel is written through a series of flashbacks. The novel addresses the theme of identity through Esther. I know I've said this many times, but Esther is just such a brilliant character, full of complexity. The Bell Jar is sad, yes. Disturbing at points, yes. But it's also incredibly witty, if the humour is a bit on the morbid side. There are positive moments and there are negative moments – it has an abundance of different themes, each one as interesting as the next. I love Sylvia Plath. We did a few poems of hers in class last year and I liked "The Tulips" So much that I went to my library and rented every single poetry book that had poems by her in it. I also rented The Bell Jar and completely fell in love with it. Head over heels in love with it. It's definitely one of my favorite books of all time. Have you read the Yellow Wallpaper by Gilman? It's quite reminiscent of Plath in some ways. I'm glad you love The Bell Jar too. I've read a few of her poems, but I definitely want to read more. And nope, I haven't read Yellow Wallpaper. I vaguely remember picking it up in a bookshop before though – I'll have to check it out! Thank you! Glad you share my love for this novel. And also, thank you for the link, I'll have to look around for that book! I keep saying this every time you have mentioned The Bell Jar but I NEED TO READ THIS BOOK! I've been looking all over the place lately trying to find it and I'm so glad that you decided to post this as it has made me more determined to get a copy. Flashbacks are always a really interesting technique. In The Bell Jar, they'e used to subtly reveal elements of the protagonist's past. :) I hope you find this one somewhere. I've never heard of this book but it sounds so intriguing! 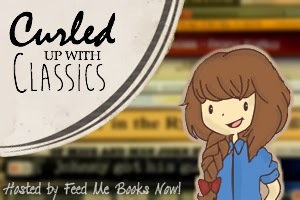 I definitely want to read more classics this year, I think I've only read a total of 5 *cowers away in shame* Great post! I have a small obsession with Sylvia Plath and I love The Bell Jar so so much. That quote is one of my favourites too because I can completely identify with Esther and she puts that feeling into words so eloquently. Ruby, you've made me pull my copy off my shelf to reread it again! Ooooh I love The Bell Jar! It is such a stunning book. My word. I love that quote, "the old brag of my heart. I am, I am, I am."